Q: MCT has traditionally been known as a hedge advisory firm but has successfully transitioned into a full-service integrated capital markets services and technology firm. Can you tell us a little about MCT’s genesis and where the company is at today? CHRIS ANDERSON: MCT was founded in 2001 with the primary focus of helping mortgage bankers make the switch from selling loans at best efforts to the more profitable mandatory trading in the secondary market. A big part of our value proposition has always been using a business model that provides very hands-on, highly service-oriented secondary marketing support and guidance. We have the largest team of in-house traders and analysts in the industry to ensure excellent service and analytics. This is unique in the sense that each of our lender clients has a dedicated team of three traders and analysts to work with who support their hedging program. One differentiator that set MCT apart early on was our recognition of the importance of providing our clients support in very robust best execution analysis and loan sale commitments. To complement our core services, we have developed into a fully-integrated capital markets services and technology firm with a broader product set to support our client base beyond hedging and best execution. We now offer an array of best-in-class services and software covering mortgage pipeline hedging, best execution loan sales, outsourced lock desk solutions, MSR portfolio valuations, business intelligence analytics, reporting, mark to market services, and an award-winning comprehensive capital markets software platform called MCTlive! We support a number of different mortgage entities that range from independent mortgage bankers to depositories, credit unions, warehouse lenders, and correspondent investors of all sizes. Today we have a full-time staff of nearly 100 employees, most of which reside in our San Diego-based headquarters, with additional operations offices is in Philadelphia, Los Angeles, Santa Rosa and Dallas. We have consistently been listed on the Inc. 5000, Inc. 500 and San Diego’s fastest-growing private companies list, and each year we earn a spot on the Best Places to Work list. We see additional growth throughout 2018 and have a strategic plan and infrastructure in place to allow us to grow at a healthy, controlled rate that ensures our client service is always second-to-none. Q: MCT launched its secondary market technology, MCTlive!, a few years back. Can you tell us a little bit about it? CHRIS ANDERSON: Absolutely. We have traditionally been known as a pipeline hedge firm, but over the years have worked hard to strategically transform into an advisory firm with an extensive set of integrated capital markets services and technology. About seven years ago, we recognized a growing need for more contemporary, robust, completely web-based secondary marketing software than what was currently available on the market. We invested in the necessary R&D and roughly five years ago we did a soft launch of the platform — MCTlive! — to our own client base. Since the launch, adoption of MCTlive! has been wildly successful. We have mortgage bankers, depositories, credit unions and correspondents of all shapes and sizes leveraging it for daily advisory services, comprehensive reporting, live market color, and ongoing education to implement their hedging and execution strategies. Whereas the more traditional desktop-based software applications confine secondary market managers to their desks, MCTlive! is purely browser-based — through and through with no installs whatsoever. It can be accessed anytime, anywhere via a secure online interface. We have some clients that have actually executed trades while on airplanes traveling for business in mid-flight. MCTlive! is delivered on a software-as-a-service (SaaS) basis and resides securely in the Cloud, thus avoiding the issues that accompany traditional on-premise systems. From a usability perspective, our clients can leverage as much or as little of MCTlive! as they need for their specific business models and extent of secondary marketing experience. Some may be “power users” while others may need a bit of hand-holding and coaching, which MCT is well-known for and extremely good at. We didn’t want secondary marketing departments having a ton of technology shoved down their throats all at once, which is one big issue with other secondary technologies that are out there. We don’t want clients drinking from a technology fire hose. As such, we essentially make available a flexible ‘walk before you run’ model whereby lenders can increasingly use MCTlive! as they become more comfortable; or, they can dive right in and immediately start leveraging the entire platform. It’s really what’s best for their secondary marketing department. And, we’re always there to help them. The addition of MCTlive! takes our business services offering a step further by empowering lenders with real-time online tools, automation, analytics and reporting that gives them enhanced visibility and control over their secondary marketing functions. Q: When it comes to secondary marketing technology, what do you think the industry could be doing differently to better serve lenders? CHRIS ANDERSON: This is a great question. One of the things that the industry needs to improve on with secondary marketing technology is being through and through web-based. Many of the systems out there right now require some sort of an install. Put simply, secondary marketing software needs to become more contemporary. Much of what’s out there is dated. Also, data must be refreshed as frequently as possible. We board clients that have worked with other firms that are still uploading data once or twice per day, or are using systems that can take 45-90 minutes to run a simple hedge position. In volatile markets, this leaves clients with unnecessary market risk. When a platform needs to be installed, there is of course maintenance that is required by the lender, thus increasing total cost of ownership (TCO). In some cases, it may require internal IT resources to help manage. Further, the systems need to be more user-friendly. Some of the models are basically, ‘You own it and you manage it. Good luck.’ These on-premise installs can be tough to work with, especially for a lender that does not have a large secondary marketing department. When we developed MCTlive!, we made sure it was completely browser-based and delivered on a SaaS basis. The example that I mentioned earlier where some MCT clients executed trades while on a plane in mid-flight would not be possible with older platforms. Also, some of our clients are using MCTlive! as a capital markets core system-of-record that also includes business-critical analytics and reporting, which is quickly changing the game. We are starting to see some overhauls of existing systems, but they still have a long way to go. Rome wasn’t built in a day. In addition, we provide a dedicated team of high-value employees to oversee each and every new hedge client, and we try to do as much of the heavy lifting for our clients as possible. For example, despite my many responsibilities, I am still personally involved with every new client that boards to ensure that we do everything we can to prepare our clients up for a smooth, successful transition. We saw a void in the marketplace, one that lacked a solid marriage between technology and people. The industry could be doing a better job of being more hands-on with traders to work with lenders and the technology to support them. Q: Mortgage loan trading is starting to go digital. Where is the industry at today and where do you see it going? CHRIS ANDERSON: Obviously, on the origination front, the point-of-sale is quickly being automated with borrowers not having to provide paper docs and scans. Being able to automatically pull things like Verification of Employment (VOE), Verification of Income (VOI), Verification of Assets (VOA), access to the IRS, eSigning capability, etc. is saving a lot of time and enhancing the borrower experience while reducing costs. In the back-office, eClosings are gaining momentum, too. In our capital markets world, however, the mortgage industry is rather slow to catch up to the age of digital loan trading and business transactions. But over the next 12-18 months we are expecting to see a continued trend in the adoption of digital mortgage loan trading tools. As an example, bid tape transfer platforms for the investor community, which automate the acquisition of tapes from lenders, has really started to gain quick adoption. Right now lots of lenders are using manual delivery methods and are likely leaving some profits on the table. But we’re moving toward enhanced automation and real-time trading activity across the board for the entire secondary marketing process. What really matters most is how it is executed. Automation brings more granularity with price, more robust best execution, greater transparency, and optimized trading for both buyers and sellers via sophisticated transaction management platforms. Also, we’re seeing traditional rate sheets changing as the mortgage industry becomes more digitized. Currently, bidding transpires at the tail end of the mortgage manufacturing process. Digitizing this will move the pricing and knowledge about spec pay-ups to the point of origination, thus reducing the need for traditional rate sheets. Q: What are some of the challenges when lenders make the switch from best efforts to mandatory loan trading commitments? CHRIS ANDERSON: The biggest challenge for lenders is finding the right firm to work with in their transition. There are changes in underwriting, workflows, technology configurations, and accounting processes, as well as ensuring that there are proper third party relationships with broker dealers and investors. These shifts can seem overwhelming to a lender if they don’t partner with the right firm for their unique business needs. At MCT, we have invested in significant staffing resources to ensure that we are armed to assist lenders in this transition. We pride ourselves on our educational approach to assisting clients. We make it a priority to recruit business development and implementation staff that have deep expertise in capital markets and have actually sat in the seat that our clients do when they make the transition. Q: How important are integrations to a lender’s secondary marketing technology? CHRIS ANDERSON: As we know, on so many levels in the mortgage industry, it’s all about the data. It needs to be clean, accurate, and integrated. Keeping your data in order and being in complete control over it is paramount to the digitization of whole loan trading and better hedging. Having tight, bi-directional integrations between the pricing engine at the point-of-sale to the LOS in the back-office, and ultimately the secondary platform is vital to ensuring data integrity, compliance, profitability, and effective risk management. Sure, good system-to-system integrations always help eliminate manual intervention, reduce costs, decrease errors, speed up processes, etc., but moreover, when using a hedging strategy, integrations are a path to achieve better hedging and greater profitability. It’s the real-time exchange of loan data that ends up creating more profitable loan sales to investors. At MCT, we recognized the need to proactively develop integrations with leading LOS platforms. We introduced our first direct LOS integration in 2010 and have been steadily adding them ever since, and we now boast integrations with all leading platforms. 1.) The secondary marketing trend we’ve seen over the past few years will continue, with bulk bid tapes as the increasingly dominant delivery channel for whole loans to investors. 2.) Technology automation such as data write-backs will become more prevalent as the mortgage industry recognizes the need to embrace technology and leverage it to reduce manual errors and save labor costs. 3.) As rates continue to rise, we will begin to see a significant increase in non-QM loan volume, and we’ll again be in a purchase market, forcing lenders to shift their marketing strategies. Chris Anderson is Chief Administrative Officer at Mortgage Capital Trading, Inc. (MCT) where he currently oversees the company’s Lock Desk Division, IT & Programming Division, and Business Operations Division that includes Administrative Operations, Compliance, Human Resources, and Risk Management. He has management experience in both the private and public sectors with expertise in regulatory compliance, organizational development, project management, data systems management, professional development, and public policy analysis. Notable is that in 2013 Chris successfully grew MCT’s Lock Desk Division and established it as the industry standard for outsourced lock desk services. 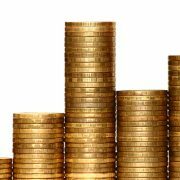 The Mortgage Bankers Association projects 2018 purchase originations to reach $1.167 trillion, a 7.3 percent increase from 2017. But the MBA forecast also calls for a 28.3 percent drop in refinance originations, to $430 billion. Overall, MBA expects mortgage originations to decrease to $1.597 trillion in 2018, from $1.688 trillion in 2017. For 2019, MBA forecasts total originations to increase to $1.64 trillion, with purchase originations rising slightly to $1.24 trillion and refinances dropping to $395 billion. In addition to the updated forward-looking forecast, MBA upwardly revised its estimate of originations for 2016 to $2.05 trillion from $1.89 trillion, to reflect the most recent data reported in the 2016 Home Mortgage Disclosure Act data release. MBA Chief Economist Mike Fratantoni said 2018 home purchase originations could increase at nearly double the clip from 2017. The executives that I spoke to agreed with the MBA outlook. “Based on the MBA forecast there is about a 5% decline overall projected,” said Joe Langner, CEO at Blue Sage. “Based on what we are hearing from our clients that’s right. I’m also hearing that rates may not increase much next year. On the tax side, that may open up spending and liquidity. Langner has more than 25 years of executive experience in the financial services and software industries. A former COO, executive vice president and chief sales officer at Ellie Mae, Langner played a significant role in Ellie Mae’s initial public offering and helped transform Encompass, the company’s loan origination software (LOS), into an industry leader. Most recently, he served as president of PC Lender, a provider of SAAS mortgage lending solutions. Langner’s previous roles include general manager and executive vice president for Sage Inc., a leading, global ERP & CRM provider, and senior vice president at Dun & Bradstreet, where he oversaw the expansion of the company’s brand into the small business market. Lenders are going to be very keen to buy new technology this year. “There are a few large lenders that are very focused on digital mortgages, like Quicken and Wells Fargo. Robotics will redo repetitive tasks in a digital way,” believes Jim Smith, President of Property Solutions. Jim’s directive is to provide products and solutions that meet the needs of the customer. Jim also serves as one of Computershare’s U.S. Diversity Champions where he is committed to continuing to build a more diverse workforce throughout the United States. 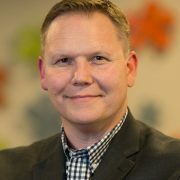 Prior to joining Computershare, Jim was a senior executive of Clear Capital as well as President of Urban Lending Solutions where he oversaw all areas of the company, including operations, finance, product development, technology, and sales. “I don’t see any volatility overall,” pointed out Les Parker, SVP, Strategic Business Development, LoanLogics. “Refinances are declining, but overall originations will be stable. Refis are very volatile because its based on rates, but purchases will see a steadily increase. LoanLogics was founded 12 years ago to improve the transparency and accuracy of the mortgage process and improve the quality of loans. 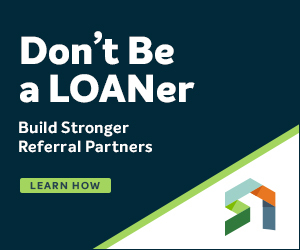 LoanLogics serves the needs of residential mortgage lenders, servicers, insurers, and investors that want to improve loan quality, performance, and reliability throughout the loan lifecycle. It develops advanced solutions that help clients validate compliance, improve profitability, and manage risk during the manufacture, sale, and servicing of loan assets. Achieving these goals was the motivation in the development of the industry’s first Enterprise Loan Quality and Performance Analytics Platform. “Our expectations are that refinance volumes should be down since rates are expected to rise,” agreed Gagan Sharma, President and CEO of BSI Financial. “There is an expectation that the Fed will raise rates again in December. As a result, the rate-and-term refi product should be a smaller part of the refinance market. We may see an increase in cash-out refinance since many borrowers who have been in their homes for a while may have significant equity in their homes. In parallel, we may see an increase in non-QM lending as the borrowers who had a negative credit event over the last few years continue to rehabilitate their credit and lenders are more willing to work with them. Sharma acquired BSI from its former parent in 2006 and transformed the company from a small lender into an innovative and thriving loan servicing provider, growing BSI by over 70 times since his acquisition. Sharma was recently named EY Entrepreneur Of The Year 2017 Award Finalist in the Southwest Region. 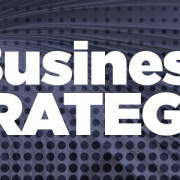 Prior to acquiring BSI, Sharma founded a global outsourcing company serving the financial services and technology industries. He raised institutional equity financing and increased its labor force to more than 1,200 people before selling it. Prior to that, Sharma was a consultant with Deloitte, advising clients on matters of strategy and operations in the financial services and high tech industries. “We do expect non-QM lenders and even the GSEs continue to provide more options for borrowers. They may be in terms of expanded underwriting or low downpayment programs. We believe that a reduction in the rate-and-term refinance opportunity will be an impetus for the industry to focus on this underserved market,” pointed out Sharma. Taking all things into consideration, the executives that I talked to are very optimistic about all things to come in 2018 and beyond. “As I mentioned, rates will have an impact on the refinance market, with the market likely evolving from a rate-and-term market to a more cash out market. On the other hand, we believe that the purchase market will likely be less sensitive since that is a function of the life situation that a borrower may be in. With the economy continuing to do well, we believe that a 25 or even 50 basis points increase in rates, while impacting affordability on the margins, has to be looked at in the context of continued improvement in the job market, increase in wages etc,” he concluded. Imagine this, you invest in creating a state-of-the-art website to compete in today’s digital mortgage revolution. Your website conveys the most critical parts of your brand and maintains a consistent theme throughout every page. However, there’s a problem. When a borrower types “mortgage” or “mortgage application” into Google, thousands of results come up in the search. Because of this, you decide to employ search engine optimization tactics. Great, you are more visible on Google and traffic is being driven to your site. People are so impressed, they decide to fill out a pre-qualification application or even apply for a mortgage. Let’s say a couple begins to fill out the application, they enter in their names, their dates of birth, and all required information. The couple clicks and continues to the next page and then, something happens. They realize that they forgot to put the middle initial in one of their names. The couple tries to go back but is unable. Frustrated, the couple abandons the application. That right there is the scariest part of the digital mortgage process. You invest money in a beautifully designed site, spend time boosting your Google search results, and lead a client to apply for a loan all to have them abandon the application before it’s even completed. This is the reason that having a strong digital point-of-sale (POS) application is so critical in providing a digital mortgage experience to turns leads into loans. There are five key components that separate a point-of-sale in today’s most advanced digital solution. The first major component is cleanliness. Your POS needs to be clean on every level. Let’s start at the software level. Any imperfection in the software will result in hiccups that make borrowers abandon the application. Borrowers need to breeze through a digital application with ease. There are too many other things they can get distracted by on the Internet. If you give your applicant one second of difficulty, or one second to contemplate whether they want to complete the application, you risk losing them. Competing for people’s attention isn’t easy, especially in the digital landscape. This is the reason it is so important to keep your users attention at all times. Clear labeling, prompts and directions tell applicants how to properly input information and guide the borrower step by step. Your digital loan application must also be easy to complete by even the least tech-savvy borrower. It’s easy to get lost with so many different pages, tabs and lines of information to fill out. Your POS must not only guide borrowers through each step, but afford them the ability to go back and forth and jump around. Moreover, borrowers should navigate the application with ease through a dashboard or content map. 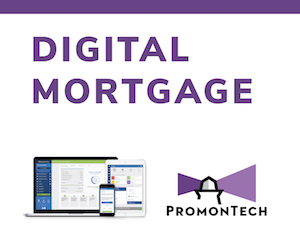 The digital mortgage experience entails much more than having a website where borrowers can enter their information. It envelops integrating with mission-critical third parties, verifies borrower information in real time and streamlines the loan origination process. The digital mortgage affords loan officers and borrowers alike the most valuable asset and that is time. By expediting the loan origination process, they avoid waiting for weeks on end to verify assets and other pertinent information. If your POS doesn’t integrate, then you don’t have a digital POS. A POS that doesn’t integrate is a data collector at best, that merely changes the application process from handwriting information to typing it. A POS that integrates transforms the application process into the digital mortgage, where data gets verified in real time and more loans get closed. Integrations include, but are not limited to: pricing engines, loan origination systems, customer relationship management systems, credit bureaus, asset verifiers like FinLocker and Account Check for bank accounts, and location pre-populators such as Google Maps. Integrating with these third parties means that the POS does the work for the borrower and loan officer. Integrations with credit bureaus verify borrower information while he/she fills out the application; integrations with asset verifiers connect all of a borrower’s bank account information with the ease of logging into your bank account; integrations with pricing engines do the math and determine proper, compliant loan terms. The list goes on and on. The main point is when all of these tools come together, it creates a dynamic POS and powerful digital mortgage experience. Along with integration comes the need for automation. Automation delivers some of the most useful impacts of technology. With automation, technology does the work for you. You don’t have to guide it, direct it or check up on it. Automation streamlines the loan origination process and strengthens your integrations. Automation tells your POS to communicate with Google Maps when a borrower types information into the “Address” field of the application. This allows the field to pre-populate addresses as the borrower types. With each character the borrower adds, Google Maps automatically adjusts and refines the pre-populated addresses. Automation alerts borrowers when they fail to properly input information or skip a step. Automation creates loan terms based on applicant information computed through algorithmic calculations, ensuring proper risk-reward balance and the production of compliant loans. Basically, automation ties together all your integrations. Automation should follow integration, wherever it is. Automation also drives real-time capabilities. If your POS doesn’t verify data while the borrower completes the application, then it’s not fast enough. 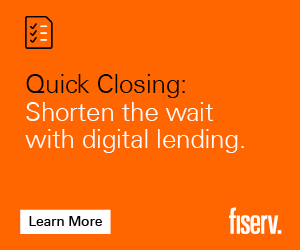 A borrower should be able to complete your digital application in seven minutes or less. Basically, once a borrower completes an “Address” field, the POS should recognize and verify that address in seconds. If the application requests a social security number at the first step of the application, it should be processed and back-checked within minutes by the end of the application. If your POS doesn’t boast real-time capabilities, you’re giving your potential borrowers more chances to abandon the application. Borrowers can get pre-qualified for a mortgage within ten minutes of filling out a form. Millennials dominate the home buying market right now, and they demand speed. The Internet, text messaging, social media, and all things digital deliver information so quickly and so readily that it shifted their expectations and perceptions of how things should operate. Applying for a mortgage is no different. The millennial borrower wants to know how big of a mortgage they can get at what rate, so they can launch a new tab and start searching for homes. Let’s imagine your POS offers all the above: cleanliness, integration, automation, and real-time capabilities. With these components, chances are your borrowers are going to complete their application. But, what happens after the application is completed? The mortgage application began online; the rest of the process should operate online, too. Moreover, the post-application process should operate within the POS application. Mortgages entail the handling of people’s most sensitive information and processing one of the biggest transactions of their lives. Thus, processes and communication among a borrower and loan officer need to exist in a secure environment. Loan officers should not email a borrower to follow up on a completed application. Rather, POS’s should equip borrowers with a secure log-in to return to their application and even provide them a easy to use dashboard. There, they can return to the application to look over and edit any information, and also communicate to their loan officer and upload any pertinent documents. The optimal POS is so much more than just a 1003 application. It’s a borrower portal to handle all things mortgage, from getting pre-qualified to signing a closing contract. In order to deliver an advanced point-of-sale, it’s not just strictly about the technology. There has to be someone that actually understands the life-cycle of the loan process for overall improved loan experience. If you invest in the right POS application, you’re bound to see a return on your investment. If you choose the right POS, it’s like hiring an employee. POS’s done right streamline workflows and automate processes. It does so much for mortgage companies and loan officers, it easily becomes your most valuable employee. Imagine that: An employee that never makes incorrect calculations, automatically maintains compliance, and gets things done in seconds that takes minutes, hours, days, or weeks for others. I think you’d pay up to match that employee’s salary. So, don’t think of investing in a digital POS as an added cost. Think of it as a cost reducer, compliance manager, and business streamliner. In the end, you are not only saving money on origination costs, but you are making more money through closing more loans. Kelcey T. Brown is Chief Strategy Officer & Executive Vice President at WebMax, LLC. Brown is responsible for developing, communicating, executing, and sustaining strategic initiatives. He acts as a key advisor to the company’s president on critical changes in the competitive landscape, internal employee development and the external business environment. Brown has worked for nine years in the Real Estate and Mortgage Technology Industry. Now the mortgage industry is changing. So, in order to be successful, you have to change, as well. You have to market better. How do you do that? According to the article “16 Important Facts All Marketers Should Know for 2018” written by Amy Balliett, the world of content marketing is always evolving, but these 16 stats will help you create a content calendar for 2018 that will get you ahead of the competition. As 2017 is now behind us, savvy content marketers are: visiting content past, present, and future. Huddled together around the light of their computer screens, they will dissect the past twelve everything that they did in 2017 to identify what marketing tactics worked and what didn’t. As they count their remaining budgets they will plan last minute content pushes, hopeful to get another win. But a visit to content future will be the most important part of their journey. Will they see a future filled with success and happiness, or will they refuse to adapt and find themselves buried in a grave of dead tactics? 1.) According to Hubspot, a whopping 80 percent of consumers prefer custom, original content over canned solutions. 2.) The recent Content Marketing Institute 2017 Benchmarks Report found that 85 percent of content marketers attribute their 2017 success to developing custom, quality content throughout the year. 3.) The same report suggests that B2B Marketers who spent at least 39 percent of their budgets on custom content in 2017 saw the most success. 4.) B2B marketers that spent at least 38 percent of their budgets on the same level of content saw equal success. If you are spending less than most marketers, consider adjusting your budget for 2018. And while you’re at it, focus on personalizing your content as much as possible. This heightens your level of quality while positioning your brand for greater success in the New Year. According to Cisco, an expected 79 to 84 percent of online consumer traffic will be video traffic in 2018. 6.) Hubspot’s 2017 Video Benchmark Report suggests that successful businesses release an average of 18 videos each month to keep up with demand. 7.) According to Hubspot, 80 percent of customers prefer to watch an explainer video above all other content types to learn about a brand, product, or service. 8.) And if you’re marketing to executives, then video is even more powerful with The Economist suggesting that 85 percent of executives prefer watching a video above all other content types when learning about a product or service. 9.) When considering what types of video to produce, there are three categories you should focus on: personalized videos, motion graphics, and livestream. 10.) According to Livestream.com, 82 percent of people prefer to watch a livestream video delivered from a brand versus viewing a traditional social post from that same brand. But animated motion graphics continue to be the most popular option because they are more affordable to produce for marketers and offer more engaging storytelling experiences for audiences. Motion graphics also make producing personalized videos easier, which is important for marketers hoping to boost conversion rates in 2018. 11.) According to Vidyard, personalized videos can increase open rates 16 times more than standard videos. 12.) Vidyard also suggests that personalized videos grow click-through rates by 450 percent. 13.) 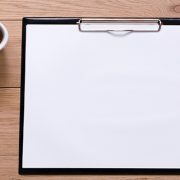 According to reports from Forbes and Deloitte, 71 percent of key decision makers prefer short case studies spanning three to four pages with plenty of visuals breaking up the content. 14.) Blogs that break up their content with images see 650 times the engagement of those that don’t according to Adobe. 16.) Techcrunch reports that augmented reality will see the most demand with nearly 70 percent of consumers believing that AR will be highly beneficial for them this year and beyond. At a recent regulatory technology conference, RegTech Enable, two telling statistics revealed the mounting cost for financial lending institutions to maintain and respond to government compliance United States Bank paid out $150 bullion in fines, settlements and penalties since 2008, and financial institutions spent $70 billion on regulatory compliance, American Bankers Association reported that 84% of banks needed to hire more staff to manage the growing influx of information and changes. Thomson Reuters Regulatory Intelligence monitors more than 950 regulatory rulebooks worldwide published by more than 550 regulatory bodies. In 2015, it reported that daily updates for the financial industry increased by 127% from just 68 per business day in 2012 to 155 in 2014. That adds up to a total of 40,603 in 2014 alone – more than double from the previous year. These updates are not restricted to legislation and published regulations – there are numerous sources from which to gather information on what is going to actually regulate a particular lender, including rulebooks, policy papers, speeches, and enforcement actions. Approximately 70 individual regulatory entities sit at the center of lending compliance. 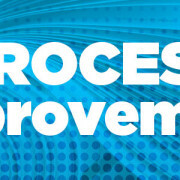 The process of sifting through their many updates and requirements is layered, starting at the top with nationwide regulations on lenders produced by agencies such as the Consumer Financial Protection Bureau (CFPB), the Office of the Comptroller of Currency (OCC), and the Federal Deposit Insurance Corporation (FDIC), to name a few. At the state level, regulations depend on the type of loan or specialized loan product. If a given lender wants to make a loan in Ohio for example, it needs to know which regulations apply to that loan type in that state. If the loan is sold, there is an additional layer of requirements imposed by the investor entity that must be considered. Investor organizations, including Fannie Mae and Freddie Mac, operate by a set of corresponding guidelines called “investor requirements,” which, alone, are thousands of pages worth of compliance requirements. That is thousands of pages of compliance requirements for a single mortgage loan in addition to implementing state-specific and federal lending regulations, reviewing enforcement actions regarding compliance, and knowing the subjectivity of regulation interpretations. Lenders conducting business in multiple states must maintain the capacity to address that entire regulatory environment, because it determines the structure of the loan, documents, required disclosures, and eventually calculations for the interest rate, APR, and payment amounts. There are varying degrees for how a regulator might regulate a particular mortgage lender. Enforcement actions, for example, may not be consistent nor follow standard administrative procedures, but do indirectly regulate mortgage loans and therefore must be monitored and considered as well. Comprehensively, the environment for making a single family mortgage loan is a complex spider web of regulation. Within a financial lending institution, compliance management should begin with the chief executive officer who tasks the chief compliance officer or perhaps an internal auditor with regulation implementation within the business practices. With the emerging RegTech sector, there are a number of technology solutions to help manage compliance from loan document preparation to mortgage portfolio analysis. But who is keeping up with the ever-changing rules of compliance? One day you are in compliance, and the next day you could be out. Document preparation companies should be maximizing their collective compliance knowledge, building specialized teams stacked with individuals who have decades-worth of experience and are dedicated to overseeing and implementing the many changes mandated by regulatory agencies. To keep up with the quick pace of changes in today’s complex environment and properly implement compliance in real-time, teams must engage a range of experiences and skillsets, from attorneys and compliance experts to programmers and IT experts. But it is not enough to simply monitor the updates; they must be interpreted, evaluated, integrated, and disseminated. For example, if the CFPB issues a new regulatory interpretation about how lending disclosures are to be made on a particular type of loan, specialists must learn of that regulation and review it with their lawyers. If the lawyers determine that the regulation changes the status quo, they must identify which lenders and loans it affects and the impact it will have. This change could potentially disrupt the lending process of a single loan or multiple loans – requiring adjustments in documentation, marketing areas, and business practices – across the entire lending business. Once the lawyers determine what the change means and who is affected, there are three paths the information can take. The first is directly within a loan operation and document preparation platform, which might require minor quantitative adjustments to calculations or data organization. If the change affects the financial institution’s operations, such as how loans are marketed or disclosed, the institution must address it directly. If the regulatory interpretation has a broader impact on a certain loan type or loan area, a more comprehensive analysis of how the change will affect the business at large needs to be conducted. Keeping current is half the battle of any lender, but mortgage executives also shoulder the other half: forecasting. Regulatory updates released daily are by-products of greater powers at play, trickling down from decisions made by the individuals in charge of each regulatory agency. The Director of the CFPB or the Chairman of the House or Senate Financial Services Committees are dictating the changes, directly impacting that particular agency and the regulations it issues or the legislation the committees may introduce. To ease the burden and free up more resources for monitoring what is coming down the road, or simply because there is a lack of bandwidth, organizations can rely upon their document preparation company to manage the present day concerns. It sounds understated to say that this is a major responsibility. Lenders are not only trusting document preparation companies to stay current on all the changes, but also to interpret them, incorporate them into the document packages, and make sure there are no conflicts or inconsistencies across the layers of compliance. Dedicated teams with many years of collective experience are best suited for the challenge of managing compliance in real-time because they have the bandwidth and depth of knowledge to respond swiftly, accurately, and reputably. The greatest responsibility of a document preparation company is to ensure that regulations are understood and adjusted on a timely basis – whether immediate or taking effect on a specific date – so that documents always remain compliant. For mortgage executives, that is one less thing to worry about. Michael L. Riddle is the managing director of Mortgage Resources Group, LLC., responsible for the overall operations of the firm. He guides the teams within the firm that develop and deliver “best in class” compliant disclosure and documentation systems to single family mortgage lenders throughout the country. Mr. Riddle is the co-founder and managing partner of the Middleberg Riddle Group, one of America’s preeminent mortgage banking law firms and, in that role, has spent much of his 40 plus year professional career providing advice and legal counsel concerning regulatory compliance, enforcement and litigation to clients including banks, mortgage lenders, insurers and related financial service entities. I spent a fair amount of time churning over this last article. Should I try to recap some of the multitude of ideas and concepts I have written about since 2010? Or should I just talk about the current state of the mortgage industry and try to project what the future looks like? I think I will leave the latter to the many bright minds in the industry. What caught my eye recently was a book, Think Like a Lawyer Don’t Act Like One, by Aernoud Bourdrez. The book is filled with 75 sample strategies for conflict resolution. I will take the liberty to extract some of the more noteworthy ones that may be relevant to both you personally and your business. #2 Never lose sight: A conflict can arise when two people have opposite – thus clashing – interests. That makes it difficult to keep your focus on the goal. You’ll only achieve your objective if you focus on it. #4 Fight for your right: What do you believe in? Creative freedom, respect or money? Then fight for it. Not everyone will agree with you. But everyone will respect you for acting consistently with what you believe. Fight! #7 Hard on the problem, soft on the people. Be hard when it comes to the issue at hand, but be gentle on the person across from you: this may be the most valuable lesson in conflict management. Being hard means that you stand by your principles, by what is essential for you. You don’t make any unacceptable concessions. No tampering with market access, artistic freedom, payment obligations, and so on. But be gentle on the person. If you’re hard on him, you’ll create a conflict – but if you’re gentle on the issue, you’ll end up regretting the concessions you make. By being hard on the issue and gentle on the person, you’ll be successful in your negotiations and gain what there is to be gained. #10 Create goodwill: A tight contract and a top lawyer might be effective, but goodwill offers you even better protection. If you’ve got your rival’s goodwill, he’s less likely to take you for a ride. Goodwill prevents conflicts. Develop goodwill by investing in the personal relationship. Friendship first, then down to business. #14 Say sorry: That little, five-letter word, “sorry”, is priceless. If you really mean it when you say it, you’ll clear up more problems that a team of pricey lawyers. 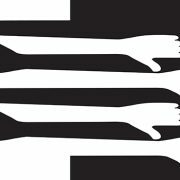 #15 Be conscious of your subconscious: Many times, in a conflict you’re not exactly sure what it is that’s bugging you. The real reason for the conflict lies buried deep below the surface, in your subconscious. So, be conscious of your subconscious. Explore your gut feeling. Retrace what happened – step by step. Find out where that unpleasant feeling comes from. Do you feel unappreciated? Excluded? Humiliated? Are they not taking you seriously? Or do they question your professionalism? This decreases your chances of acting impulsively and further worsening your position. Ad added advantage: while you’re exploring, you’re also taking time out for yourself. # 21 Know your enemy: Knowledge is power – especially at the negotiating table. So, make sure you know all there is to know. Before you start, lay out all the details and circumstances that led to the conflict. Immerse yourself in your opponent. What kind of person is he? What are his weaknesses? Where are his vulnerabilities? Is he vain? What’s he scared of? What gets him excited? Why is he fighting you? What does he want? And then address these same questions regarding yourself. You must know yourself too. Sounds obvious, but very few do this. Know yourself, know your enemy and know the facts – through and through. Because a poorly prepared case is a lost case. # 22 Under-promise, Over-deliver: Creating great expectations is tempting, but not always wise. If you end up delivering less than you promised, you make a conflict more likely to occur. Promise less than you’ll deliver, and you’ll have a satisfied client. # 23 Know what you’re not going to say: Knowing what you’re going to say: Useful. Knowing what you’re not going to say: crucial. Saying what you shouldn’t have said: fatal. # 26 Know your BATNA: You’re in a conflict and you’re about to negotiate. Think of your alternatives if a settlement is not reached. In other terms, know your BATNA, or your Best Alternative To a Negotiated Alternative. What will happen if you end up in court. If your case is strong. Then you can aim high. If it’s weak, chances are you’ll leave the courtroom empty handed. Here’s how to improve your BATNA. Build a solid case file. Hire a good lawyer. Subtly let your opponent that you have the means and the patience to use the lawyer and the file. #27 Kiss: Keep it short and simple. # 29 Use the power of silence: Silence is a powerful negotiating weapon. Listen more than you speak, and let the silences be. Your adversary, out of embarrassment or discomfort, will fill in the gaps. He’ll talk away and probably say things he doesn’t want to say. Moreover, what you don’t say can’t be held against you. # 31 Take one step at a time: Solutions take time. They involve many steps. First, you lay out the problem. Then negotiate. Then put the agreement down on paper. Then you must make sure it is complied with. If not, then you must take follow-up steps. The point is that you have to concentrate on the step in question. It makes sense, because if you’re too concerned about steps later down the line, you’re likely to stumble. # 36 Walk away for a change: Sometimes, walking out of a negotiation – however difficult – is the only way of getting what you want. If the opponent fears a good result is getting away from him, then he’ll be more disposed to make concessions. # 69 Agree to disagree: When you’re negotiating it’s easy to slip into “did not, did so” arguments about things that are completely irrelevant. This is obviously counter-productive. It reinforces differences, while your goal is just the opposite. Declare out loud that you think it’s fine to agree to disagree on side issues. Once that’s done, you can focus on the central issue, which is why you came to the table in the first place. The articles I have written over the years have encompassed a variety of subjects, but in retrospect I think a common theme is apparent. Whether the topic is conflict resolution, artificial intelligence, the Exponential Age, or mortgage technology initiatives, the only thing we can do in an uncertain world is position ourselves for change. Locking ourselves or our organizations into static mindsets guarantees that we will fail to adapt to new situations, that our objectives will go unmet, and that we will watch competitors outpace us. 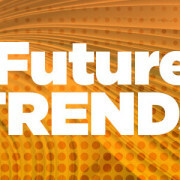 Thank you to all of you who have taken the Future Trends journey with me. 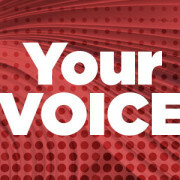 Your feedback and comments over the years have been a gift. I am always reminded that change is not the enemy of success, but as the catalyst for it. I’m ready for the changes that will come when I step away from Future Trends. I hope you embrace your changes as well. Roger Gudobba is passionate about the importance of quality data and its role in improving the mortgage process. He is an industry thought leader and chief executive officer at PROGRESS in Lending Association. Roger has over 30 years of mortgage experience and an active participant in the Mortgage Industry Standards Maintenance Organization (MISMO) for 17 years. He was a Mortgage Banking Technology All-Star in 2005. He was the recipient of Mortgage Technology Magazine’s Steve Fraser Visionary Award in 2004 and the Lasting Impact Award in 2008. 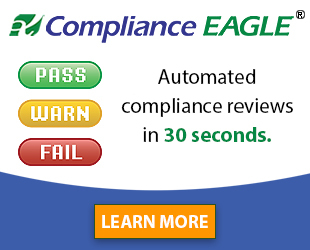 Roger can be reached at rgudobba@compliancesystems.com. Here’s hoping you got exactly what you wanted for Christmas! 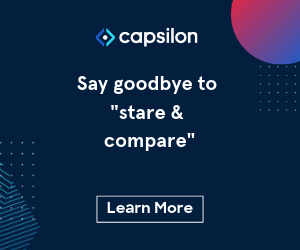 You did want an Artificial Intelligent loan application, didn’t you? After all, based on what we saw at the convention in Denver and all the publicity since then, this is what most mortgage bankers had at the top of their list to Santa. Without a doubt, the full force of this change is sweeping the industry. Whether it is called AI, Machine Learning, Digital Mortgages or has a unique name, lenders are looking for ways to add some means of streamlining the application process. However, not all of this is necessarily good news. In talking to numerous loan officers and technologists in the industry it appears we are headed for a consumer and secondary crisis of confusion. This potential confusion crisis has many different causes. Industry members from all segments are asking if every automated option is really “artificial intelligence” and what it means to them. Some are concerned that the expense of developing such a system is far beyond their means. Overall however, they just are not sure what it is and what to do about it. The quick answer to that question is obviously dependent on what you want a machine to do. Today the term artificial intelligence is discussed by many in our industry as a single effort which will take in information and use it to make an underwriting decision. In other words, an “expert system”. What’s so hard about collecting data and sending it to an automated underwriting system? We already do that. But is that really AI? In its most simplistic form “AI” is a machine with human cognition, but there is much more to it than that. Just as individuals are not born with the knowledge they have today, a machine must learn. This means learning facts and, while humans are capable of innately associating the facts with the problems, it must learn how to associate these facts appropriately with the problems it is trying to solve. How much we teach machines is dependent on what we want it to do as well as how much information we give it. Machines with the ability to think like humans not only have millions of facts but can use these facts in a “Neural Network”. In other words, they can reason based on what they know. Lesser types of AI include programs such as Expert Systems, Machine Learning or RPAs. While these programs are all based on the core expectation, their abilities are very different. For example, Expert Systems are a method of automated reasoning based on a very specific set of facts, rules and principles. Applying a user interface that asks a question, they will filter the data with the rules they have. If the rule is not there they cannot “reason” an answer. Machine Learning development involves the construction of algorithms, which can learn and make predictions or decisions based on the data incorporated into the program. This type of AI is most often used in such areas as data mining since it uses statistical analysis to identify patterns. Using the data available it makes predictions about any new data it receives. Machine Learning algorithms include such statistical methods as regression analysis and decision trees. The education of this type of program is conducted by running large amounts of data through the model until it finds sufficient patterns to make an accurate decision. RPA or Robotic Process Automation mimics user activities and can process structured and semi-structured data in line with the rules embedded in the program. It is highly deterministic. In other words, based on the information received the output will be what the rules have defined. These programs are frequently being used expert systems and typically include a “human-assist” factor that deals with exceptions that do not meet the rules in place. However, one of the values of using RPA technology is that this program can “learn” or add rules based on the user actions. For example, if such a program is evaluating the completeness of a document, the rule may say that all fields must include data. In this instance, a document with an empty field would become an exception. If, however, when this occurs in a specific field it is labeled an exception and the human interface says it is “OK”, the machine will adapt the rules to allow a document with this empty field to be labeled acceptable. This type of AI is used primarily with OCR technology and employed in operations, which currently employ a “stare and compare” process. In developing any of these systems, it should be evident by now that the common and prevalent factor in any of these programs is the data. Types of data received by any organization include structured data, semi-structured data and unstructured data. A true AI program can utilize all three types of data whereas the lesser options are limited to structured data, and in some cases semi-structured data. Unstructured and semi-structured data is sometimes referred to as “dark data”. Here is where the issues and risks begin. Everyone is familiar with the term GIGO or “garbage in; garbage out”. Without consistent and accurate data any “thinking” done by these programs is suspect. For years, the industry has struggled with developing a single source of data with a consistent definition and characters and still has failed to ensure that the data used is accurate. This however is not the only issue when it comes to data utilized in an AI effort. There are also a variety of other data issues. Among these are “noisy data”, “dirty data”, “sparse data” and “inadequate data”. These issues result in having conflicting or misleading data, missing or erroneous values, and incomplete data. While MISMO has done a tremendous job of structuring data definitions, programs being developed must have some type of pre-analytics that can be applied to raw data to ensure standardization, imputation and other basic techniques to ensure the quality of the data. A second issue with data is its security and governance. Each entity must develop a method for ensuring that the data is managed properly. In other words, establish acceptable sources of data, determine how it will be analyzed for consistency and accuracy and identify who has control of the final data set so that it cannot be accessed by those without authorization. Data governance involves the management of this resource in a way that ensures its quality and use while maintaining the ability of the organization to capitalize on the opportunities presented. In addition to data there are other critical issues that must be addressed by any company seeking to utilize AI technology. Chief among these are talent and culture. One of the primary issues faced is the talent pool necessary to sufficiently manage, develop and execute analytic projects involving machine learning. Data scientists, those individuals skilled in computer science, math and domain expertise are necessary to develop and maintain these AI programs. However, there is a shortage of data analytic talent in this industry. On the down side, many employees will quickly lose relevance in the workplace as much of the tasks they perform are taken over by machine learning technology. Another potential employee change-over will be found in the level of consumer interaction. With the advancements of expert systems and virtual assistants, consumers can ask questions, receive answers and proceed with their applications without a human interface. While the feedback so far is mixed on who is most likely to use such an approach, Loan Depot has already engaged a company to develop an interactive consumer facing system to assist potential customers in this process. Another company, Neutrino Financial Services is developing a program that will allow consumers to obtain answers to questions and start the application process. When ready they can then select a company from a broad listing of lenders, for whom they want to apply. All this without the use of a loan officer. The applications taken in this program will then be transferred to the selected lender, thereby giving the consumers more choice and the lender more access to a variety of applicants. If the use of AI, in all its various forms, is to be successfully implemented in this industry, a cultural change also must occur. The long-lasting impact of any AI implementation can only be made when a fundamental shift in an organization’s culture takes place. Although there has been much discussion about data driven organization, little of the effort to make this happen has occurred. Job types and job descriptions must change along with business processes and technological solutions are necessary. In addition to investing in the technology, businesses must invest in the appropriate training of staff and process redesigns if AI is to be successful. However, the application process is certainly not the only area where AI will have an impact. We are already dealing with AUS systems and the accompanying deletion of underwriting staff. 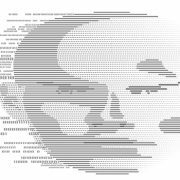 This however is just the beginning as much of the clerical functions can use Machine Learning AI with a small contingent of personnel available to deal with the exceptions. Then of course there is the closing process. Today we have acceptance of digital signatures and electronic delivery of the closing documents. While there are some states that will not yet accept digital signatures, this too is rapidly changing. Of course, the biggest issue at closing is yet to be tackled; that of explaining what all these documents mean and what they require of the consumer. However, with a program such as the one being developed by Neutrino, consumers will have access to the resources necessary to address these questions by phone, tablet or laptop. One of the most obvious uses of AI is in the servicing environment where most of the administrative work is primarily clerical. The potential for the use of AI, including expert systems and machine learning is tremendous. The processes that take place here are prime targets for this type of change and would reduce the overall costs of servicing significantly. Default management could also benefit from these programs as “Bots” are developed to predict potential delinquents much sooner through statistical analysis of payment history and changes in credit status. Assistance with notifications to borrowers would also establish a more beneficial arrangement of calls and relieve some of the staff when applicable. Another usage would be in the identification of property value changes. Utilizing the data collected and standardized will assist in congregating loans to form MBS pools. Because of the data quality available from a data-driven organization’s focus, the secondary market will have confidence in the information provided. In addition, utilizing the existing risk model to establish operational variance risk, these institutions will be able to effectively price loans. By having loans accurately price for the performance risk will make them a more valuable investment tool and enhance the overall buying and selling or these assets. There is no doubt that AI is coming to the mortgage industry and there is also no doubt that in order to reap its benefits, the industry must change. Only when we recognize that artificial intelligence brings with it, costs and risks that will redesign the familiar, and accept what is to come, will this intellectual achievement be achievable. Whose Money Is It Really? The fourth quarter is the busiest time of the year for tax payments. Borrowers want their taxes paid by year end for tax purposes, which creates a mad rush to pay, pay, pay. The title company pays, the lender pays, the borrower pays and/or the third party pays. All of these different sources of payments could ultimately lead to refunds. Those refunds mean the servicer is faced with refunds and the time consuming task of conducting research to determine who the money belong to. Let’s take a closer look at a few factors around refunds including what causes a refund; what effect do they have on the servicer; and what can be done to prevent them. There are several factors to consider when determining what causes a refund. One of the primary causes of a refund is when more than one person or entity pays taxes on the same parcel and for the same tax year; this results in a duplicate payment. In some cases, the borrowers are not educated about who is responsible for paying the tax bill. So when they receive a copy of their tax bill, they will pay it and at the same time, the lender has paid it. Therefore, the tax agency may apply the first payment received and return any payments later received. Or they may apply the additional payment to the next installment or they deposit the funds and require a refund request to get them back. Another scenario that could cause a refund situation is the initial set up of tax line data on an escrowed loan. Generally, tax lines are set up according to the closing documents. If the documents show that taxes will be paid at closing, then the tax line would reflect a future date to avoid a tax payment. If the line has a current date indicating the taxes are due and the servicer pays them when in fact they were paid at closing, the result is a duplicate payment and the need for a refund. Yet another scenario that could create an overpayment is tax exemptions that could cause a decrease in the tax amount due, especially if the tax bill was paid and it was not reflected as tax exemption, which would cause an over payment. Paying the incorrect amount based on human error when keying an amount to pay or an error with the agency reporting an incorrect amount could require a refund as well. If the incorrect amount paid is more that the tax bill, it would create an overpayment possibly resulting in a refund or the agency may choose to simply apply the overpayment to the next installment. This could create a problem for future installments if the agency does not provide a notification that funds were posted to the next installment. When the next installment is due, the full amount would be paid, again creating yet another overpayment. While over payments may not seem like a big deal, there are some serious effects refunds have on the servicer. 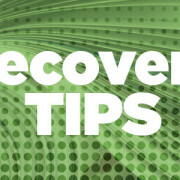 For example, the amount of research involved to resolve the refund is costly. The servicer must contact the agency to determine what caused the refund, duplicate payment, overpayment, etc. Then the servicer needs to verify if the intended parcel matches the borrower’s name and address. The taxing agency should be able to advise who made the payment, whether it was title company, borrower, third party, etc. And if the servicer is requesting a refund, it has to provide proof of payment. Very few agencies automatically refund overpayments. Most agencies require a refund request be provided along with proof of payment. Other time consuming and costly activities that are often prompted by refunds are an escrow analysis of a borrower’s account and additional resources in the call centers as activity generally increases due to borrower inquiries regarding refunds. >>Advising borrowers to always examine their property assessment. Left uncheck, taxing authorities could take months to acknowledge duplicate payments let alone sending a refund. This could create the need for additional research on the part of the servicer and will increase customer inquiries from borrowers. Being vigilant in addressing the cause of refunds can save a company time and money as well as build confidence among borrowers. Adrienne Williams is the vice president of outsource and current disbursement manager. Her main focus is managing a team to ensure taxes a paid properly for borrowers on behave of the lender. She has been at LERETA for more than five years and has more than 30 years of experience in the mortgage industry. While life in the drama, “It’s a Wonderful Life,” may have been wonderful for the Baileys back in the day, jump ahead many decades and Uncle Billy and Mr. Potter are the least of George’s worries at the Building and Loan. George’s biggest concern would likely be keeping up with the Joneses, in today’s competitive mortgage marketplace. Today’s mortgage consumers have ever-evolving customer experience expectations that are expensive to deliver, and survival will take a lot more than some divine intervention from Clarence Odbody. Mortgage consumers, their real estate professionals, and their loan originators have a common goal: a smooth and efficient process that results in a timely closing. This process creates a good experience for all parties involved. Most regional banks and successful non-depository mortgage lenders have mastered the art of personal customer service, but today, everyone involved expects a high level of communication and technology throughout the process. An emphasis on service and technology is critical to attracting new customers and even more important to retaining a customer base as well as talented loan originators. Bringing that necessary technology to the market requires that lenders streamline and improve internal processes and offer self-service technology and multi-device functionality to consumers. These efforts require resources as well as a dedicated and experienced staff to execute. There are some lenders that are not keeping up. Not for lack of want or need, but simply because the current marketplace and the return might not warrant the investment. After investing heavily in the staff, processes, and systems to meet the regulatory challenges posed by guidelines like TRID, many banks and non-depository lenders find themselves needing technology to enhance the customer experience and maintain market share in what has been an increasingly competitive mortgage market place. While there are the behemoths rocketing the online consumer experience into the future, there are also a few other players delivering big gains in technology and process enhancements to the customer experience. It is proof of the “technology” concept. So what do you do when investment seems impractical but necessary? A consumer relationship is a hard-earned, expensive proposition for any lender, be it a bank or non-depository lender as consumers are increasingly being enticed by the shiny concept of “technology.” In addition, finding and retaining the most productive sales staff is equally as challenging and expensive – you cannot let quality employees go. Okay, are you ready for a financially viable option? It’s simple – outsource your technology, processing, underwriting and closing functions. The revelation of outsourcing might bring a gasp of disbelief, rather than a ringing of a bell, but this is not a new proposition. The question remains – can you trust anyone else to maintain your expected service levels while adding technology and remaining compliant? Two banks that are ranked the highest in customer satisfaction in New England by JD Powers and Associates for 2017 did just that. They outsourced their technology needs and they outsourced their processing, underwriting, closing and secondary market functions. They did this while improving market share and their compliance posture, all while maintaining their award-winning customer service levels. These banks gained immediate market advantages and did it without making a capital investment in mortgage-related technologies. So, it is possible to keep up with the Joneses in this race for mortgage technology that could be likened to putting a man on the moon, all while maintaining the personal service levels that have built your brand. It’s just a matter of finding the right partner. Kurt Noyce is President of Embrace Home Loans. Founded in 1983, Embrace Home Loans is a direct lender for Fannie Mae and Freddie Mac, approved by FHA and VA, and an issuer for Ginnie Mae. Embrace Home Loans has remained a prominent leader in the industry, having helped hundreds of thousands of individuals and their families purchase new homes, and lower their monthly payments since its inception. Operating 40+ offices across 46 states, Embrace has been recognized seven times as one of the Best Medium-sized Companies to Work for in America by Fortune, four times as one of the Fastest Growing Companies in America by Inc., and recognized as the Most Community Involved Company in Rhode Island by Providence Business News. With the roller coaster 2017 housing year behind us, let’s look beyond the numbers and examine some lessons learned and look at areas that if addressed properly could mean even more success for 2018. Looking at the big numbers including purchase volume and prices, you would have to conclude it was a great year from a new purchase perspective. But there are undercurrents that indicate we have perhaps cannibalized today for the future. Like the rush of refi’s from the past few years that have steadily fallen in 2017 – currently at the lowest levels in 16 years– we may have reached a peak in new purchases – at least for a while. Why? The housing industry could be facing a bit of a rut. Consumers who can afford today’s homes have likely already locked in and those who have not, may choose to sit it out for a while. Let’s take a deeper look at the issues we might continue to face in 2018. Housing inventories have been at a record low for the better part of 2017. We have what’s been dubbed the best sellers’ market ever with 79 percent of the homeowners in America say “now is a good time to sell,” according to the latest ValueInsured Modern Homebuyer Survey. But, with home prices are at a record high; many potential sellers simply do not want to be buyers after they sell their homes. In fact, some homeowners who would want to sell admit to “feeling stuck,” with 63 percent saying now is a good time to sell but not to buy due to those same high home prices and 61 percent of all homeowners who want to sell soon say they are “waiting until prices to buy are better to make a move.” At today’s high home prices – and many overvalued according to other industry data– it is less expensive for many homeowners to just stay put. This is particularly true based on the fact the industry had record high refinance volumes just last year. This points to the fact that many potential sellers have recently refinanced making it unlikely that they will be willing to give up their historically low mortgage rates. In the not-so-distant past, if home sellers got sticker shock from the home prices, they would consider selling and then renting. This is particularly true in cases of empty nesters who wanted to downsize, and enter retirement or a new phase of their life that included traveling more and being at home less. But rents now are also at a record high, and people lose the flexibility and control of homeownership. Studies have shown once converted to homeowners, Americans rarely go back to renting believing that it is a better lifestyle or financial alternative. It is true that in times when rents are more affordable, homeowners could have the option to sell at a hefty profit and rent for a while until they purchased another home. But at today’s high rent prices, interim renting may no longer seem like a good strategy. After all, according to ValueInsured’s latest survey, 81 percent of all Americans and 89 percent of homeowners say owning is more financially beneficial than renting. This has always been historically true, but likely more so today and in the months to come with reports of millennials financing everything from bedsheets to concert tickets. And do not forget about those expensive avocado toasts and bachelor parties on top of spending on such items as iPhones and other electronics as well as cable bills to watch Game of Thrones and student loan debt. At the same time, wage growth remains sluggish and nowhere near the growth rate of home prices. Compared to their parents, today’s homebuyers have more essentials and exponentially far more non-essentials competing for their budget. When value for the dollar is not there for new homebuyers, they suffer from buying inertia before committing to a mortgage. At least some do. There are certainly homebuyers buying at today’s record high prices, but there are also others who have retreated and remember well their own personal experience in 2007/2008 or at least that of a loved one, neighbor or co-worker. The sad truth is it certainly would not take the “six degrees of Kevin Bacon” for any homebuyer today to recall anyone they know who suffered greatly – or even had their entire personal wealth wiped out – in the last housing crisis. In many of the country’s top real estate markets, you do not need to go further back than six years – or in some cases two years – to remember the last market correction. Some people might say a short memory is important for getting back up and trying again after a failure but that may only be true if you do not have your entire life’s savings and your family’s future on the line. Regardless of academic or policy talking heads saying a bubble is unlikely, this more fiscally conservative generation remembers, with nearly 6 in 10 Americans (59 percent) believing another 2008-style housing crisis could happen again in their lifetime and 65 percent of all millennial homebuyers saying they are concerned about buying high. So they wait to buy a home. Now in 2018 – three quarters of a century since most of our grandparents got their first home mortgage – assuming a digital mortgage or slick online portal is innovative for our industry is simply laughable, and a disservice to our customers. It has been at least 17 years since we all expected everything to be simple, digital and quick – it’s the price of entry, already baked in, even if you want to sell groceries. Today’s parents routinely watch their toddler walk up to a poster and attempt to swipe and change the picture, only to be puzzled when the image is not dynamic. Our industry needs to go beyond eye candy to meet the emotional needs of buyers. Homebuyers do not necessarily understand the buying process from all the logistical, technical standpoints – nor should it be their job to do so – but their everyday experience prepares them to expect consumer empowerment, convenience, turn-key gratification and a brand relationship mostly devoid of loyalty. Homebuyers will price shop their home loans, just as they do everything else, until they see real differentiation and consumer empowerment. So glossing over the process is not the answer. Loan officers and real estate brokers need to bring value-adds to preempt cold feet, calm buyers’ jitters in today’s bubbling market and offer long-term solutions that give buyers greater control of their homeownership experience beyond matching – or shaving – points and rates. This is the first line of opportunity to rebuild trust and confidence in the mortgage industry. We have our work cut out for us in the coming years. More immediately with the promised regulatory and economic changes, our industry will be tasked with drastically changing the home buying process, interactions with and offerings to consumers. The next generation of homebuyers is looking for trusted advisors who can look out for not only their current transaction but their financial future. And when you can deliver that, expect a repeat serial buyer customer and more referrals to come because the next generation of consumers also relies heavily on reviews and referrals to make their purchase decision. With your phone (likely an iPhone X, not a desk phone) ringing off the hook (or rather, social media notification going off), with innovation and progress in lending, at least your business will not be stuck in a rut. Joe Melendez is founder and CEO at ValueInsured. During his career, Melendez has specialized in building substantial relationships and developing strong business alliances that help bring innovation to the financial market. His focus at ValueInsured is to reignite the home purchasing process by focusing on the specific need to protect the homebuyer’s down payment.